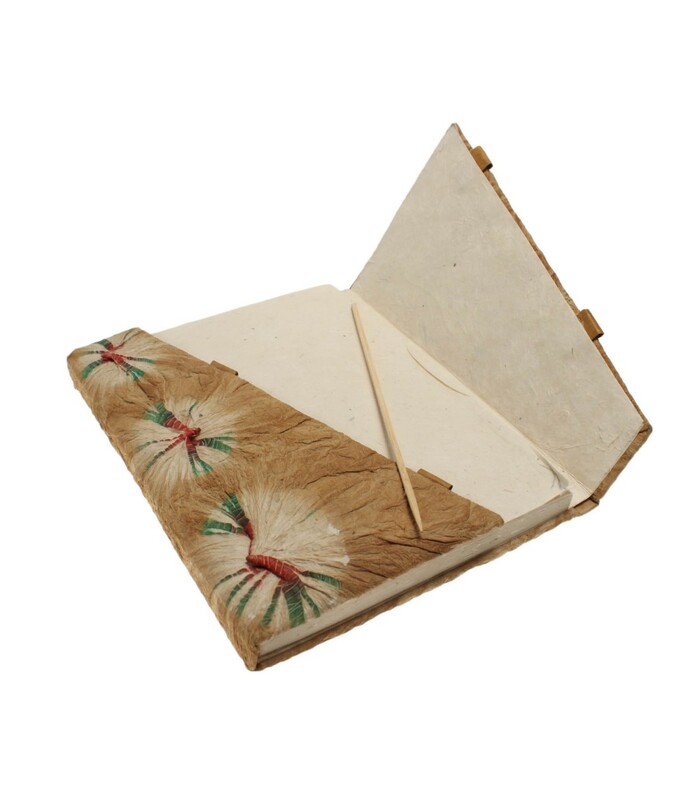 This attractive crumble tie dye printed note book is made from the strongest Nepali lokta paper. 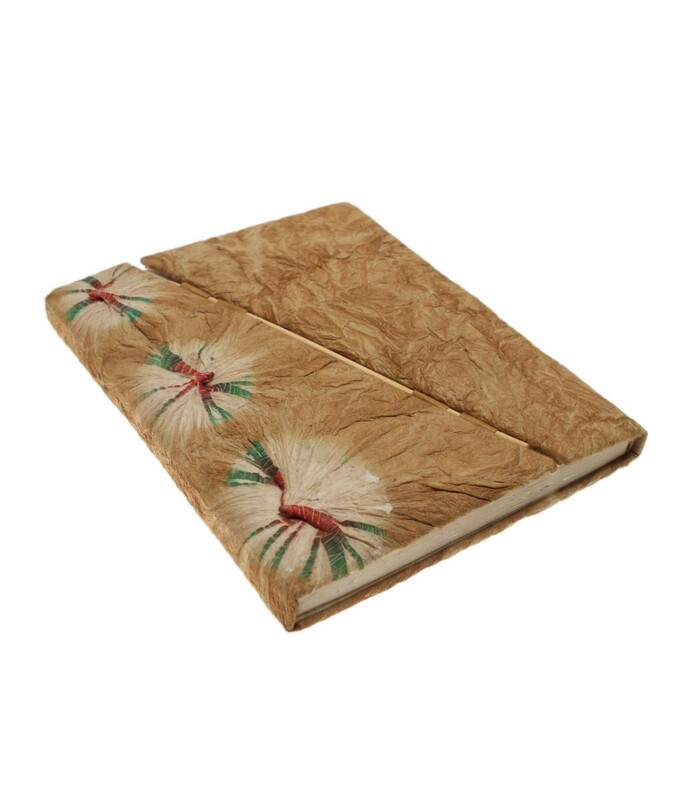 Lokta paper is famous among Nepalese because of its eco-friendly, durable, resistance to tear and has anti insects and anti moth qualities. 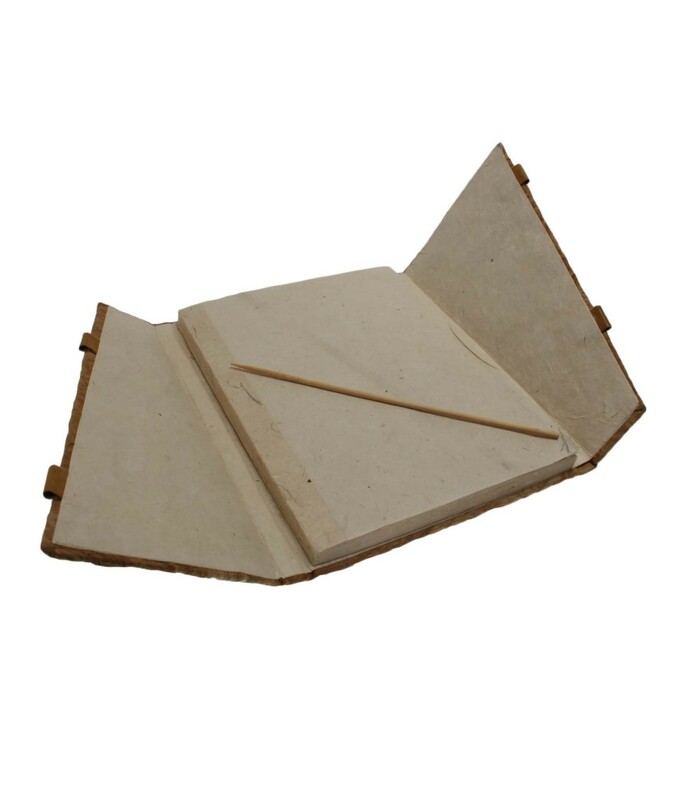 Draw the small wooden stick to open and close the notebook.